* You will also be subscribed to Paula's newsletter to receive updates on the local market. * We will never share your email address with anyone. We promise. Have you been considering selling your home in the near future? If you have, then it wouldn’t be a bad idea to take a good long look at your home, using an unbiased eye. After all, a clean, appealing, well maintained home has much better odds of selling, selling for more, and selling faster. When looking at your house, the thing you need to keep repeating to yourself is that “first impressions are lasting impressions.” This couldn’t be truer when it comes to selling real estate. However, this doesn’t mean that you should take on a major renovation project just so that you can sell your property. Remember, there are no guarantees that you would recover the costs of an enormous overhaul. Instead, take a more conservative approach, and have a look at the different cosmetic improvements that can be made for an overall improvement. These can include things such as cleaning, painting, refinishing, and other such efforts. These are the projects that don’t require all that much capital, and yet they make an immeasurable improvement to the overall look of your home. Before you take on any fix-up-for-sale projects, take on the mindset that you are sprucing up your home in order to sell it. Don’t think of it as fixing it up for someone else. You’re trying to create more of an appealing look than you are a perfect home. If you fix up the house with a certain person in mind, you’re limiting your market. 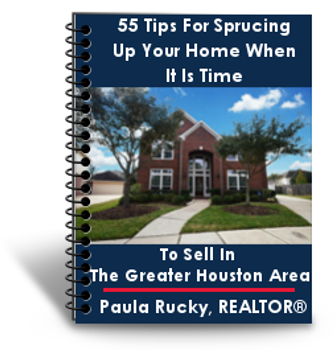 Limiting your market will usually mean a slower sale, and a lower selling price. So instead of tackling a whole mess of huge projects, just focus on making the home attractive, clean, presentable, and well maintained. Let the new owners do their own customizations. This guide will take you all around your property and let you know the very things that you can do to get the most out of your sale, without having to dump huge amounts of time, money, and energy into repairs.